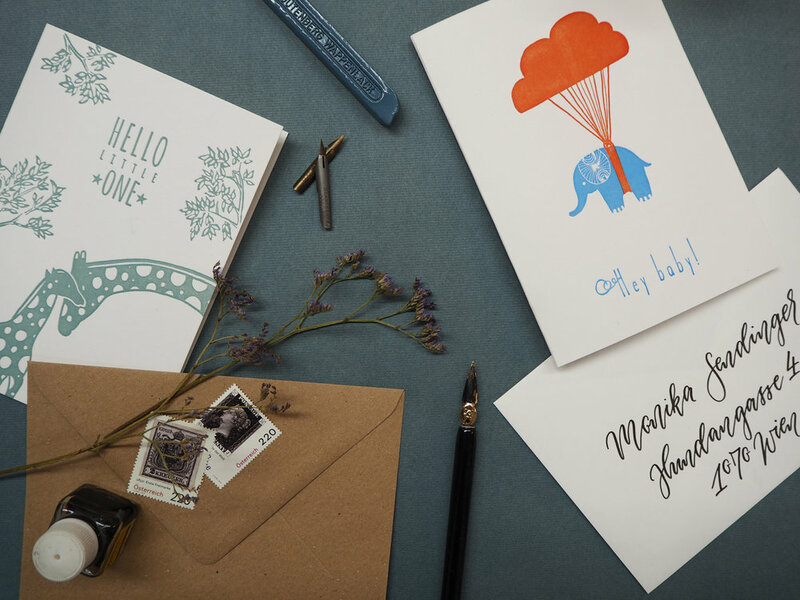 With our handmade print products we want to make you see and feel our passion for high-quality paper. In our Graphic Design & Letterpress Studio we combine traditional craft with modern design. As designers with international experience we love to use our know-how to manufacture unique prints. The sensuality of letterpress print underlines the graphical composition and makes it stand out. Private and business cards, brand identities and company print products, birth Announcements, high quality vouchers or simply an extraordinary event — we design and produce individual prints. We believe that exceptional design and artisanal perfection take time, which is why we recommend to book an appointment early enough. Without tradition and respect for craftsmanship our work would not be the same. We continue to use and apply machines, tools and knowledge that has been around for decades. At the same time we take inspiration from Gustav Mahler, who once said: “Tradition is not the worship of ashes, but the preservation of fire.” In this spirit we use contemporary typography and hand-illustrations and let our love for modern, romantic elegance influence our work. You are interested in who we are and what it is exactly that makes our machines so special?